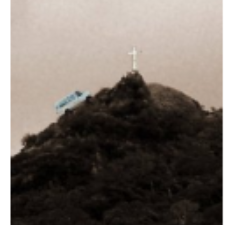 Way of the Cross ministries is dedicated to preaching the Gospel of Jesus Christ to the people of South Texas and Mexico. In addition to meeting the spiritual needs of the these people, WOTC is also committed to meeting their physical needs by providing food, clothing, medicine and medical treatment. For $500, you can give 5,000 lbs of food. Interested in donating? Contact us by clicking on our contact page. To donate securely, click here! For more information on what this ministry is doing, click here. 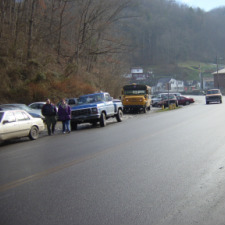 According to the Census Bureau, McDowell County is one of the poorest counties in the United States. People here don&apos;t have much hope. HEH has partnered with Cora Goldman, a longtime missionary to the people of Welch, to help to feed and clothe the poor of Welch. For $500, you can provide 5,000 meals for the people of Welch. To donate securely, click here! In 2010, a devastating earthquake hit Haiti. The Haitian government estimated that over 300,000 people died, and that 1 milion people were made homeless. Initially, the world responded enmass as billions of dollars were poured into helping the people of Haiti. As media coverage began to wane, however, so did the support of Haiti. The truth is, the people of Haiti are still in need of help. HEH has partnered with Michigan Agricultural Commodities, inc., to bring Change for Haiti. 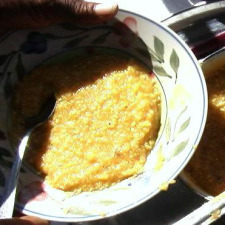 Change for Haiti is a program designed to send one of the main dietary staples of the Haitian peole: Corn. With your donations of either corn harvest or money, HEH and M.A.C. can continue to help feed the people that have been long forgotten by the media. To read more about this mission, click here. For $25, you can send 100 lbs of corn to feed hungry Haitians. To donate securely, click here! As you have already guessed, it takes a lot of resources to do what HEH does. Warehousing is the most costly of the resources. It takes a lot of warehouse space to hold all the food that HEH distributes. 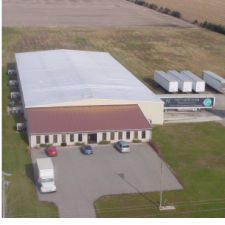 In just a few short years, we have outgrown our current warehousing facility. With the retirement of the debt on this building, HEH would be able to expand its operations, allowing us to reach exponentially more people. We need the help of people, churches, and organizations that would be willing to come alongside of us and help us retire this debt. By doing so, you will be leaving a legacy in partnering with HEH to reach out to literally millions of people. This legacy will live on after we are gone. What will your legacy be? To donate securely, click here!